Leap Forward offers a highly customized and unique career and life coaching service through which clients strategize and implement the next phase in their careers. Leap Forward helps clients focus on defining their aspirations, talents and goals to gain forward momentum. Leap Forward Coaching is personal change management designed to accelerate development and career success. Career transitions and new requirements make the need to continually hone your skills inevitable. How you deal with these challenges is crucial to your long-term success and happiness on- and off-the-job. With Leap Forward Coaching you will learn how to look at your workplace situation and career path with greater clarity and resolve. Working with an experienced coach and a proven model, you will formulate a personal road map with clear objectives aligned with your career and life goals. Your coach is a guide and an independent sounding board to test ideas, practice new skills and keep you on track—ensuring a positive outcome. 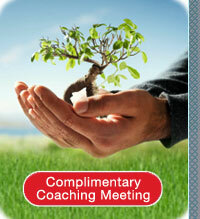 Develop winning strategies to release your full potential and achieve greater fulfillment. Prepare for and practice interviewing to become comfortable answering and asking employment-related questions. Leap Forward clients gain greater insight into their interests, strengths, and talents and learn how to match and align these to career paths and job opportunities that will bring them satisfaction and fulfillment.